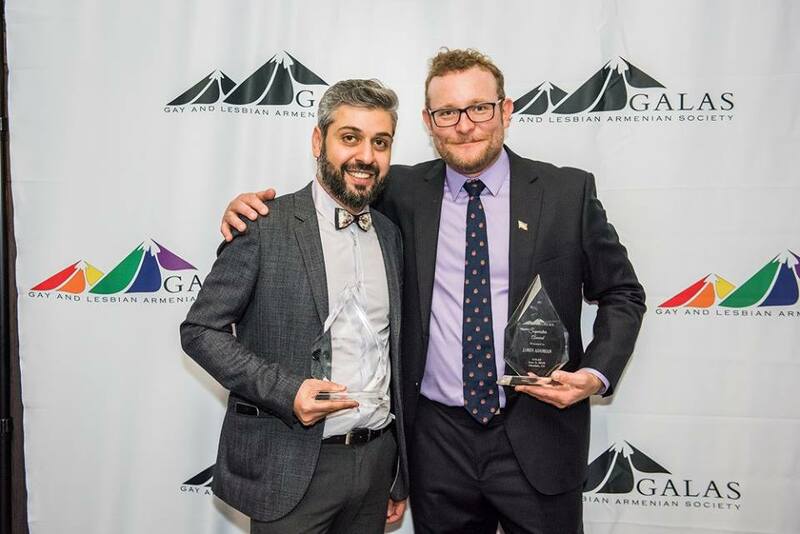 Over 180 guests gathered for the Gay and Lesbian Armenian Society (GALAS) 20th anniversary on June 2nd in Glendale, California. Members of Armenian LGBTQ community were surrounded by friends and family for a special, intimate evening marking two decades of empowering LGBTQ individuals of Armenian descent. 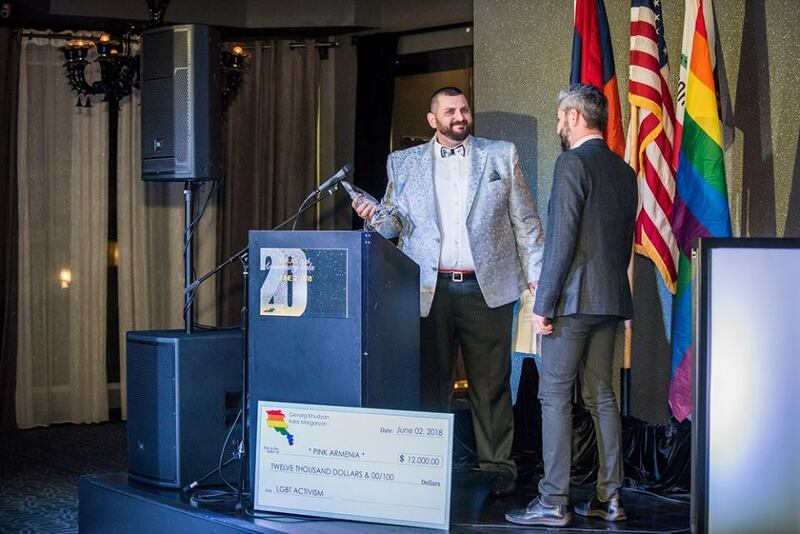 Changemaker Award: Mamikon Hovsepyan, executive director of PINK Armenia and Armenia liaison for GALAS, who was honored for his role in safeguarding LGBTQ and human rights in Armenia. Superstar Award: openly gay comedian, actor and impressionist James Adomian, the grandson of Armenian-American mathematician George Adomian, is a proponent of LGBTQ rights who recently criticized SNL for not casting an openly gay man in 30 years. Emerging Leader Award: Transgender Army reservist Rudy Akbarian, who recently spoke out publicly against President Trump’s plan to ban transgender individuals from military service. 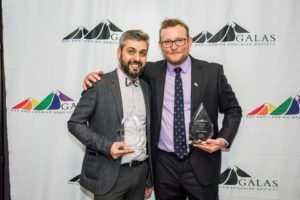 Trailblazer Award: Azad Mazmanian, a brave member of the Armenian LGBTQ community who was the first organizer to form a social circle in the 90’s, which eventually evolved into GALAS. Gevorg Khudyan and his husband Karo Margaryan also donated 12.000 USD to PINK Armenia for organization’s office rent and utilities. 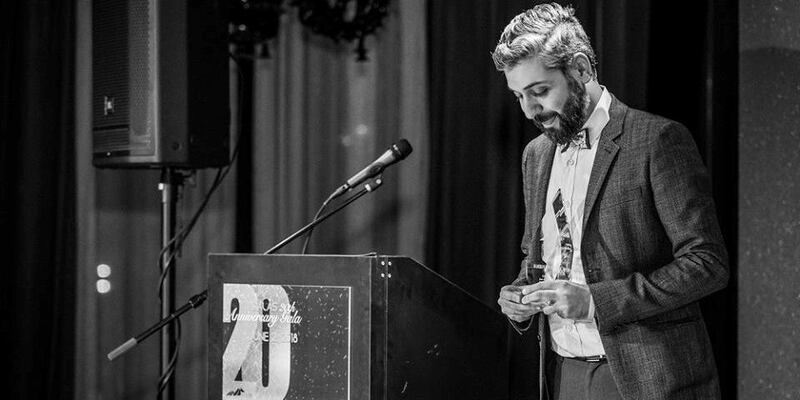 “1998, the year when Galas was founded and I was a 16 years old guy struggling with my sexuality in a very conservative city of Armenia – Gyumri. 5 years later I already had the courage to take part in changemaking processes. I remember there was a time we, queer Armenians, tried to come together and then Gevorg and other amazing friends tried to help us in Armenia to be more organized. That was the time I started to overcome my fears and since then nothing can stop me to fight against the regime, to protect the community that I belong to, to raise the voice of voiceless, to fight for justice, equality and dignity. I came all the way from Armenia, from our motherland where homophobia is still a big issue. But wait, our grandparents survived the genocide because some people out there hated us for being Armenians and Christians. So how come the same religion promotes hate against its people. Hate has no place in our society. I said it once, I want to repeat it again. Armenia has such a great potential to become one of the best countries in the world where human rights are protected, where everybody enjoys equality and harmony, where discrimination has no place.